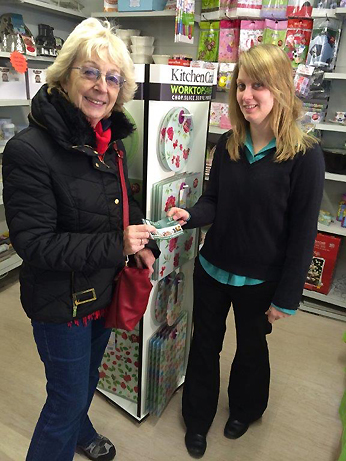 Here is the winner, Mrs Baker, of our free Prize Draw Competition which took place in December. Mrs Baker is being presented with her £100 Pickles Gift Voucher by Kelly. Thanks to everyone that entered. Pickles is everyone’s favourite independent homeware and hardware shop in the South Hams. Nestled in the centre of the picturesque town of Modbury, we are proud to be at the heart of the community. At Pickles you will discover all those items that are essential for your home. Whether it’s for the kitchen or the garden, you’ll find exactly what you need – from paint to pest control, clothes airers to cast iron cookware, we have got it covered. 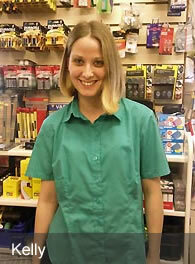 And for all those household DIY jobs to be tackled our friendly staff are on hand to offer expert advice and guidance.